Given the size of a town like Northampton, it is no surprise that the demand for good, locally sourced food is growing all the time. These days, people want locally sourced and good food, and we at hog roast Northampton know how important it is to deliver this with our catering. In short, we don’t do things by halves, and we know exactly how to make your event go off with a bang; with a full roasting hog, turning gently on a spit and being cooked to perfection. 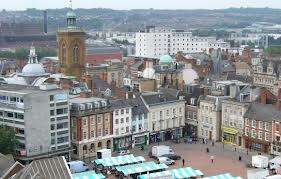 Northampton has a history dating back to the 6th century, when it is believed the first settlements sprang up which would eventually grow into the huge town it is today. In the 11th century, after Normans built town walls the settlement grew rapidly. Shortly after this, a castle was built and in the 1200s the university sprang up. No doubt back in medieval times, many a table saw the fine result of a hog roast. The method of slow cooking meat to perfection over a spit is most popularly depicted at this time, and the fact that huge animals could be cooked by this method mean t this method of cooking was often favoured for large gatherings, fairs and the banquets of noblemen. 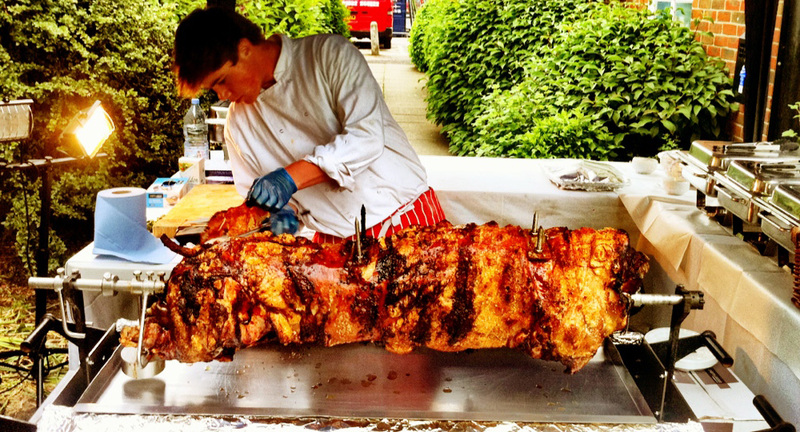 We believe that hog roast Northampton is really making a comeback, and if our constantly growing client list is anything to go by, the delicious taste of perfectly roasted pork is just as popular today as it was way back in medieval times. We have recently catered for the Bianco Auto Developments and Racing Team at Silverstone Racecourse again, the home of British Grand Prix. The event was for the Alfa Romeo championship! We arrived on site early in the morning with free entry tickets which was a bonus. As a huge fan of motor racing this was by far one of the best events I have catered for. We roasted our 55kg pig fresh on site with all the trimmings. 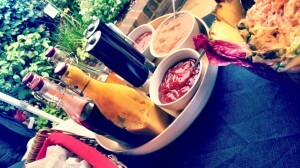 The guys loved it and the pig was bare by the evening. Northampton is by no means a small town and that inevitably means that there will always be a big need for catering and event venues to cater for the 200,000 plus people who call this town their home. And when you get people needing a good catering solution, you need to be able to provide for them with great quality food every time, but it seems that, like the rest of the UK, the people of this town have been having to put up with inferior solutions when it comes to event catering. So if you’re looking for hog roast catering in Northampton, just give us a call or send us an email and let’s make your event a resounding success!